Pipelines should be designed to accommodate expected discharge, while also ensuring self-cleansing is achieved. A velocity between 0.75m / sec and 4.0m / sec, is considered satisfactory for self-cleaning when flowing half full. 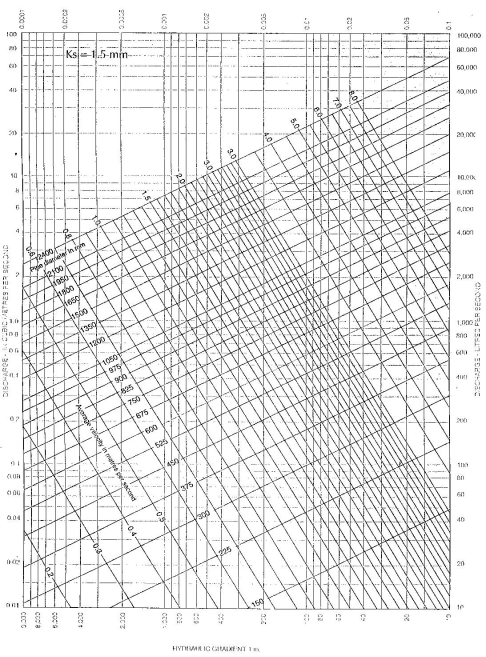 BS 8005:Part 1 1987, contains hydraulic flow charts based on the Colebrook – White equation for calculating transitional flow. 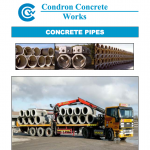 The velocities and discharges given in the hydraulic flow charts are for circular concrete pipes flowing full. 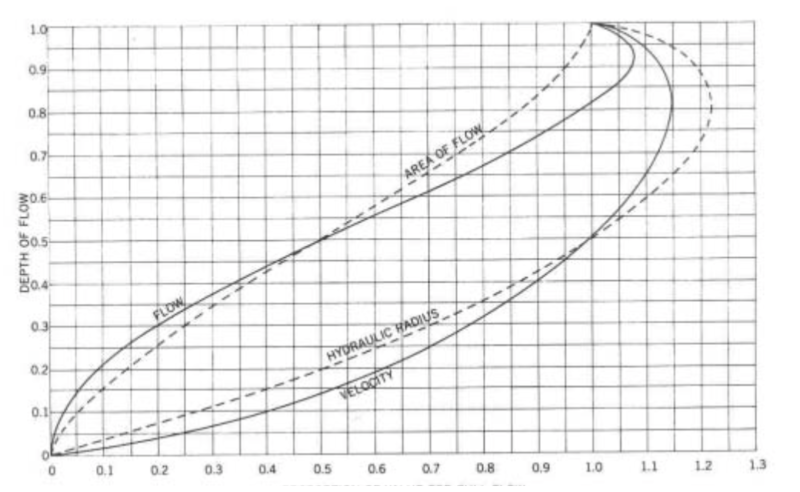 If the pipes are partially full the proportional discharge and velocity values, can be taken off the partial flow chart provided. 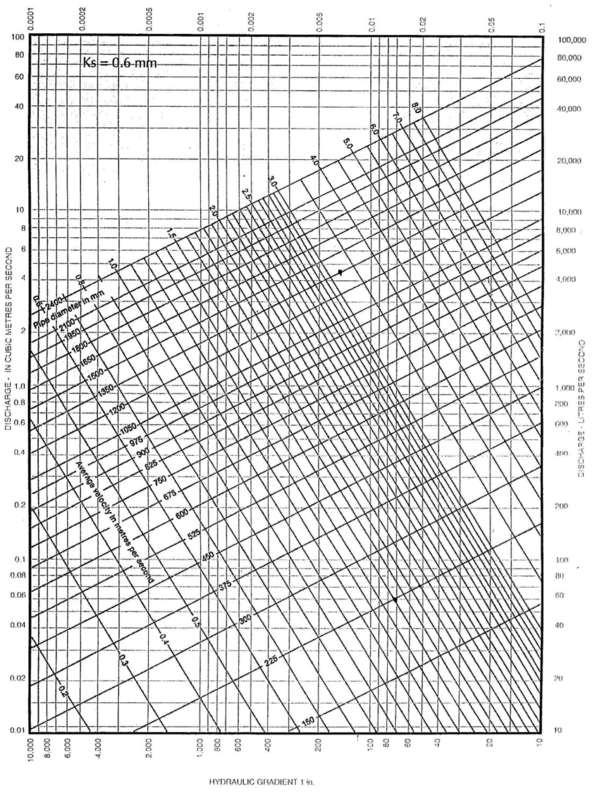 => 1.0 x 1.95 = 1.95m/sec, 0.75 < 1.95 < 4.0 therefore satisfactory.